Related question: Is there an amp power formula? Can it be played quietly enough for home use without disturbing the neighbours/sleeping wife/etc.? Is it loud enough to play along with acoustic instruments? Is it loud enough to be heard by an audience in a room of a certain size? It's clear that wattage isn't an adequate indicator: the Beatles played gigs on Vox AC15s -- I have owned a 15 watt guitar amp that couldn't possibly be heard over a drumkit. It's also clear that size isn't much of an indicator either -- there are tiny guitar amps that are seriously loud. When choosing an amp, how do I know how loud it's going to be? Quick word on scope: - Let's not talk about micing up amps for the PA. - Let's be general and talk about bass, guitar, keyboard amps, and amps for any other electric instrument. Although watts actually are a pretty decent way to predict the loudness of an amp, it's worth understanding what the listed wattage of an amp means. Remember that an amp is designed first and foremost to amplify the input signal, and that for many applications, it's desirable that the amp do so while keeping the signal as clean as possible. So an amp's wattage rating is traditionally listed as the amount of power it can produce while keeping the total harmonic distortion (THD) of the output under a certain percentage. But maybe the guitarist doesn't care about keeping the signal pristine---in fact, maybe he'd like the amp to produce some distortion, maybe even a lot of distortion. In that case, he's going to be running the amp at higher wattages than its rating and thus it will seem louder than its rating would imply. It matters, too, whether the amp uses tubes or solid state transistors, because tube distortion is often thought of as being more pleasant than solid state distortion. This means that a guitarist playing through a 100 watt tube amp may turn it up to get distortion from the amp, while a guitarist playing through a 100 watt solid state amp may rely on pedals for his distortion and leave the amp turned down to avoid the unpleasant solid-state distortion. You mention the Beatles playing through 15 watt Vox AC15's, which are tube amps. In concert, they turned those amps way up and got a fair amount of distortion from them, meaning their amps were producing way more than 15 watts of power. Perhaps the 15 watt amp you mentioned as being underpowered was a solid-state amp? As far as amplifying other instruments is concerned, each instrument has its own specific needs, and so its hard to compare wattages across different instrument categories. Keyboard amps, for example, are designed to be as clean as possible, so a keyboardist is not likely to turn an amp up beyond its listed rating. Bassists, as a general rule, require higher-rated amps because their lower frequencies require more power to produce a similar volume. For example, in a typical rock band, the guitarist might play through an amp rated anywhere between 50 and 150 watts (if you're planning on cranking your amp up to AC/DC-type distortion levels, btw, 50 W is plenty loud), while many bass heads are rated in the 300-400 W range. In my own case, my guitar amp is a Fender Twin Reverb rated at 85 watts and my bass rig is powered by a Crown K2 power amp which produces 1,600 watts in bridge-mono mode. I can tell you that the Twin absolutely keeps up with the bass rig in terms of volume---but then, I want to distort the guitar amp, and I want to keep the bass amp as clean as possible. In any event, wattage is not bad as an indicator of an amp's loudness, so long as you understand what it does and doesn't actually mean. Watts output(RMS) and the efficiency of the speaker(s) are just about all you can use to estimate. The rule of thumb is that it takes a doubling of watts to increase output by 3 db. Take a Fender Deluxe (A 20ish Watt(RMS) amplifier) and put in the 95db speaker and you'll struggle with volume (you'll be at 80% to 100% on the volume control) but you'll get pretty good power amp distortion because the amp has to work very hard to push the speaker to an acceptable volume. Now, take the same Fender Deluxe and install the 102db speaker. It will be too loud to turn up past 40% or so and the power amp distortion will be minimal because the amp does not have to work as hard to produce an acceptable volume. Edit: This link explains the math. Wattage and size are actually the single best indicator, but you are right - they aren't the whole story. For example a 150W guitar amp is likely to be a lot louder than a 150W hi-fi system as the amp model doesn't require that much accuracy in a guitar amp, whereas a hi-fi amp should reproduce sound very accurately. I have played some small venues using just a 150W amp for my guitar - turned up halfway even a 100W Marshall through a 4x10 can be nice and loud. I wouldn't want to try with anything smaller, as even when mic'ed up I want to be able to hear my monitor over the drums, house PA, even the singer! Admittedly I play rock and metal, but it is blues based rather than thrash based so I want enough headroom that I can accurately decide my clipping and distortion in my pedal, not the amp. If you want clarity, go for a higher power amp - then you are less likely to hit any headroom/distortion constraints. That may all seem a bit of a ramble, but what it comes down to is that you just need to try them out. Start at 150W if you have a standard drum kit on stage with you (this is also a good size for mic'ing up for the PA with either a 2 or 4 speaker cab) and work up from there. All I can say is that this topic is complained about a lot, and is controversial. The answers seem to be really complex. But the consensus is, no, there is no clear, simple relationship between the manufacturer's reported wattage and the practical, real-world volume that the amp can produce. Indeed, different models of amps produced by different manufacturers which report the same power wattage will in fact sound different in practical volume level. Here's a good technical note/blog post, "Watts vs. Volume" by a well-respected guitar amp builder who talks about the issues involved. He has a lot to say about the Fletcher/Munson curve (the frequency response of the human ear at varying levels of volume) and perceived volume, how he designs his amps, and how he tries to report honest numbers to reflect how loud his amps are going to be. I hear this question a lot but the answers are all over the place, which is very understandable due to variable nature of guitar amplifiers. I used to own a Vow AC30 with twin 12s. circa 1968, which is what I believed the Beatles used to use. I know I was a fool to sell it but I was only a kid. That Vox would stand up to any drummer with any drums. but there are some good reasons. 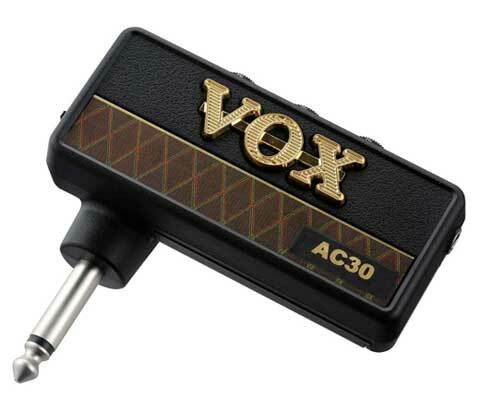 The Vox AC30 was rated at 30 watts RMS, which is the continuous output rating. Vox valve amps often peaked at more than twice the continuous rating. Solid state amps never exceed the continuous rating hence valve amps are usually a lot louder for the wattage and are usually paired with better speakers. Speakers also add volume. Goodman Audiom 15w 12" speakers were used in my model AC30. They had huge magnets and made the amp weigh in at something like 60 pounds which made it a huge throbbing monster that would kick and hiss at you when you had it above 5 or 6. 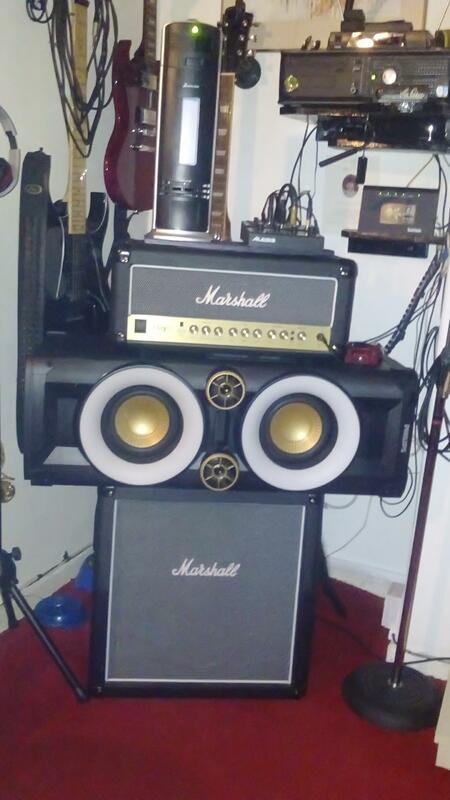 It was almost as loud as the more modern Marshal 100 with 4x12s. It was a "Dirty' amp at almost any volume with almost no clean headroom. At times we even played a bass through it at the same time as a guitar, but it admittedly sounded a little rough, but it worked. The Vox AC30 that I remember had rows of valves and got really hot. Todays valve amps usually advertise that they have one or two valves and are not the same beasts as they once were but the tone is still there and the volume. Fast forward to today, I use a Fender Mustang II 20watt with an 8" speaker when I go down to jam at my local pub. I can play lead on it and its loud enough to be heard over most drummers, but the venue is fairly small. As the venues get bigger, bigger and better speakers seem to make a difference. To be loud enough to be heard over the loudest drummer you need to have 40 watts or more for a SS amp but 20 watts is seems good enough with a good valve amp with good speakers provided the venue is fairly small. As the venue gets larger, amp wattage and number/size of speakers has to go up. This of course can get uncomfortable for those playing, so then the best option is to mice the smaller amps through a good PA system. Others have answered in good detail- especially Alex Basson's answer. Over 50watts is probably loud enough to use with a drum kit, if you don't mind with a bit of "crunch"
Over 100 watts is likely to give you enough headroom to give you any sound you like (clean/distorted) with a drum kit. Given you want the sound to be clean, any more wattage just means more volume- it won't change what sounds you can get out of the amp. There's also speaker size/number : Some amps claim to be quite loud (high watts) but have, say, only one 12" speaker which might not be meaty enough to output the full chunky sound that you'd like, and when you turn them up they go a bit weedy. I'm thinking of my 1990's Session amp here. I think it's 75W but it really needs a speaker cab to help it out. To play alongside a drum kit, you probably want either a 15" speaker or twin 12" speakers. There are exceptions of course, but if I was looking for an amp for use with a band, this is the way I'd be thinking. 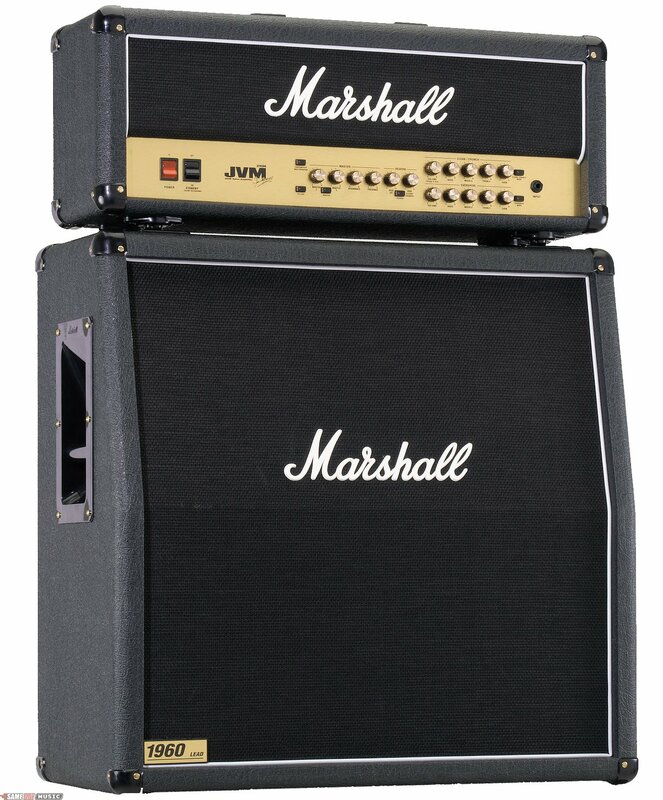 My own amp is a circa- 1970 Marshall (valve) JMP 50w with a cab containing 2 x 12" drivers. It's just starting to get to its limit of clean sound (quite nicely) at the kind of volume that's right for playing with a mediumly-played drum kit (not brushes, not mental earbleeder), so if I poke it up a bit for solos, it has a bit of crunch. Hmmmm. Well I admit I dont do numbers and i am not a scientific brainbox.. Im just an old guy that has played guitar ( or claims to) for loads of years. What do i think? . Well i know what my ears tell me (gettin deafer now though) I know and have owned the old valve marshall stacks,fender twins 100 watt. Had little amps too, However I came across a Harley Benton 120 watt, price was right and sounded fine.. Then i moved ( DOWNSIZING) to a 1 bedroom flat. :'( BUT during the day i could CRANK IT UP full and sounded fine, I had the downsizing bug and saw a Marshall haze 15. vallve halfstack, 15 watts and i cant even get the valves to kick in on distortion channel i have gain cranked and volume just about 1 or 2. Clean channel only just past 1 It is so incredibly loud. It puts the 120 watt HB to bed. I admit I have pushed it on a few occasions but i have to make sure neighbours are out or ok with it. I STILL COULDNT CRANK IT. It is a great bit of kit. I also have a Rolland cube. Thats just for takin outside. There is only two things I dont like about the Haze 1 no aux in/out an 2 no headphone socket. A drag for a flat. But it's staying i love it lol. Sometimes it is also " Where you live as to how loud you can kick it " without "official complaints" I have just got a volume pedal and have yet to try and crank the amp an see how that works. . Fingers crossed. What does wattage of amplifier corresponds to? How do you mic a guitar amp? Do phase inverter tubes effect the sound of my amp?